We spotted this genious (and amazing!) 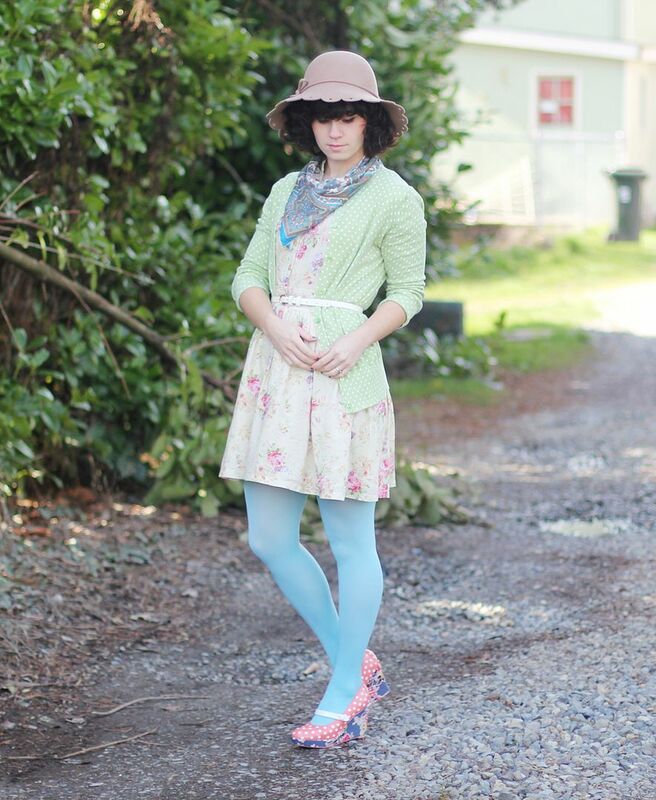 tutorial on Delightfully Tacky. 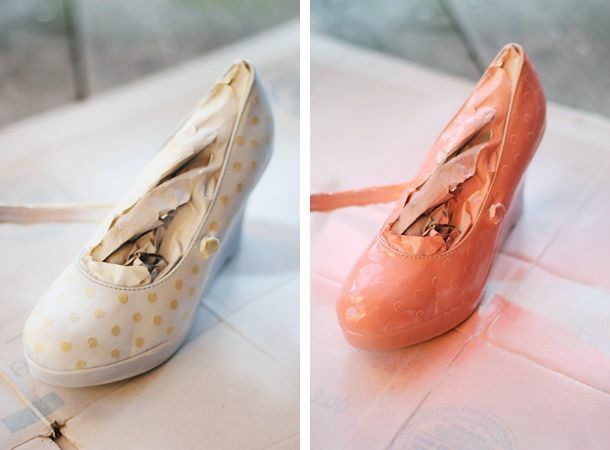 With spray paint, fabric, and your essential craft tools, you can transform a pair of wedges into a new gem. 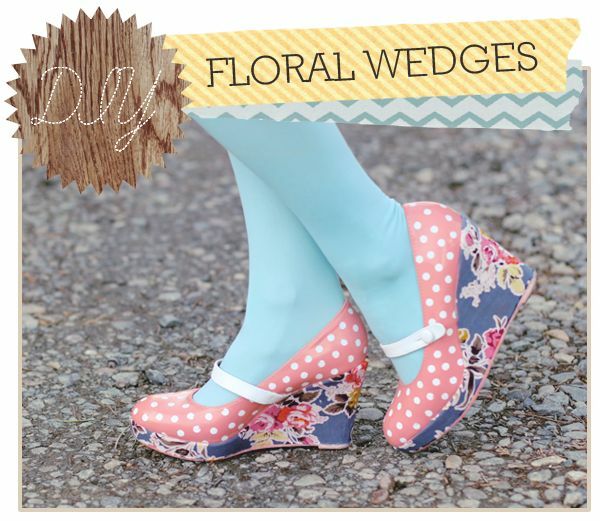 Stop by Delightfully Tacky for step-by-step instructions. Happy crafting! P.S. There is no such thing as too many shoes, right? 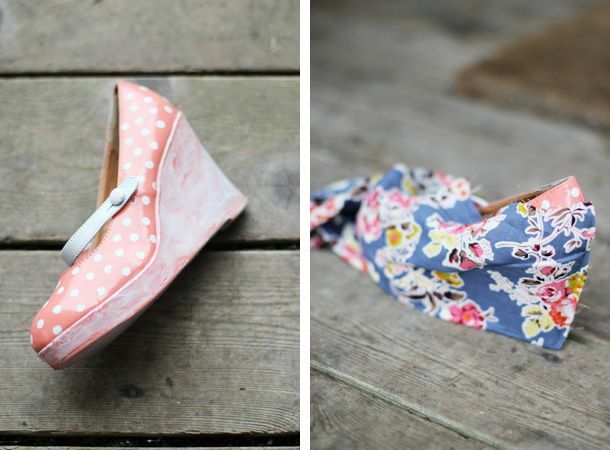 ♥ Take a peek at our affordable shoe collection here. This is perfect! I just found a thrifted pair of wedges that I wasn't a huge fan of the color, but they fit too great to pass up! 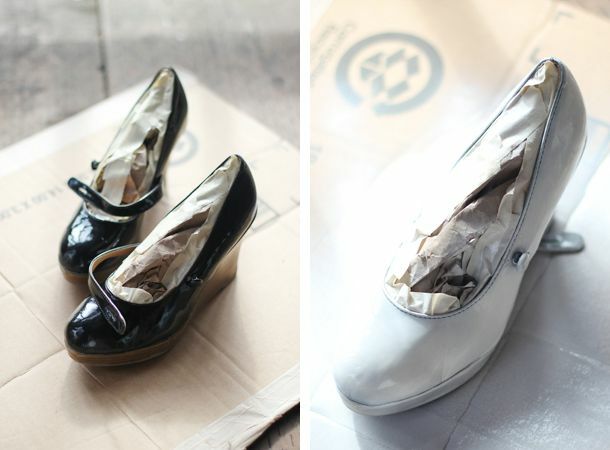 I am so excited to try this out on them and customize a pair of shoes for myself! Great tutorial!! Oh my those are toooo adorable. these are awesome what a great diy!